A supermassive black hole lurks in the center of our galaxy. But two supermassive black holes lurk in some galaxies. 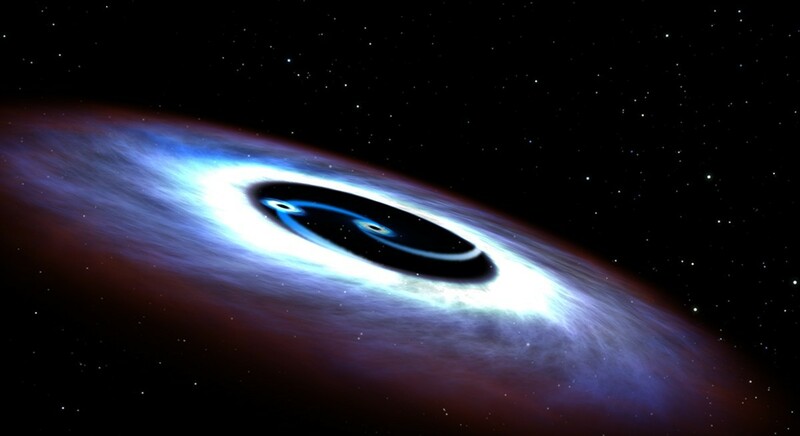 Since most galaxies contain a black hole in their center, and galaxies have been known to collide, it’s thought that supermassive binary black holes could be relatively common in the universe. We know of some that exist, but they are difficult to confirm. But new research in the Astrophysical Journal has found a supermassive binary in the heart of a quasar. Quasars are extremely bright sources of energy, powered by the superheated material (the accretion disk) near a black hole. They are so luminous that it’s impossible to resolve a supermassive binary directly. 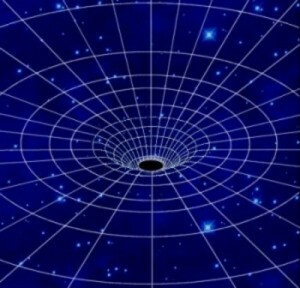 But a close binary black hole would clear out the region between the black holes, leaving a gap in the surrounding material. This gap would lower the overall temperature of the accretion disk, and that means less ultraviolet light should be emitted by the quasar. 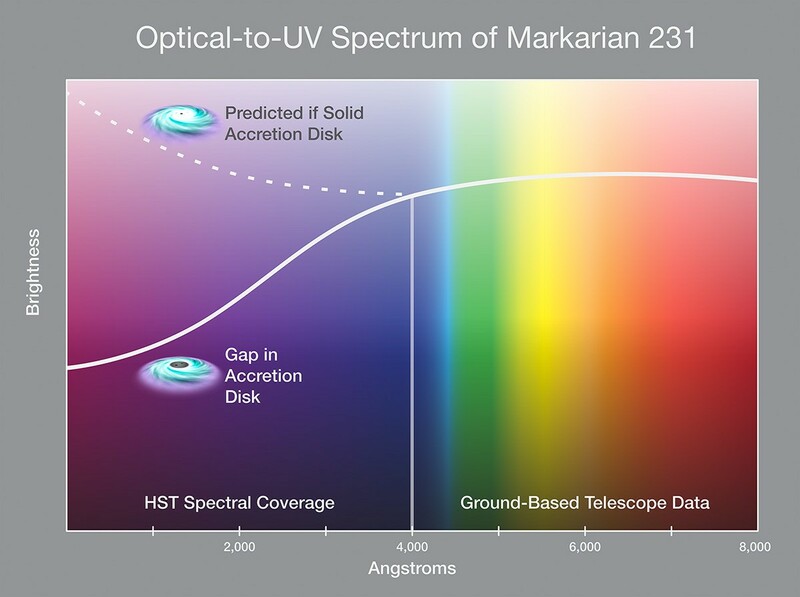 In this work, the team compared the visible and ultraviolet spectrum of a quasar known as Markarian 231. They found a weaker ultraviolet spectrum, just as expected for a supermassive binary. What’s great about this research is that it allows us to find supermassive binary black holes by looking at the spectra of quasars. 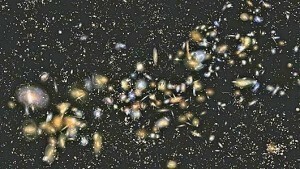 So it’s quite likely that the method could be used to find many more of these twin giants.